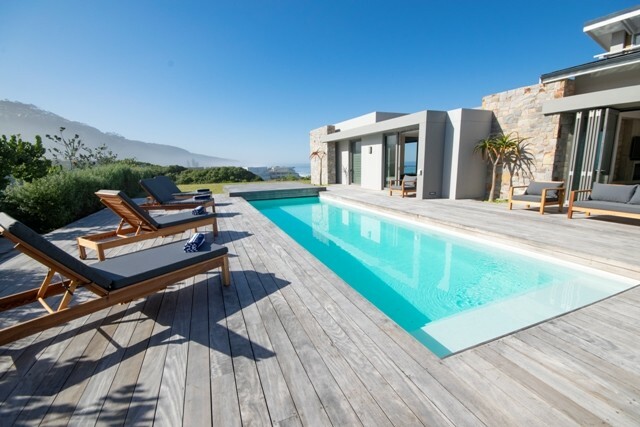 Cliffhanger is such a fitting name for this stunning home that is perched on the edge of the cliffs of the keurbooms beach. Double glass front door opens into a crisp clean cut paradise. 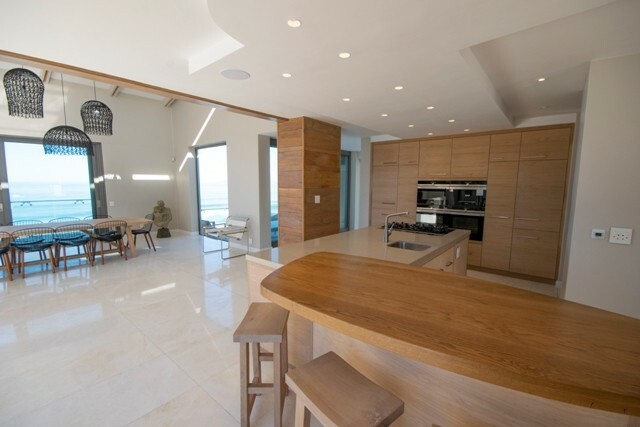 Open plan lounge, dining room and kitchen. The lounge and dining room on the right open out onto a deck with patio furniture that overlooks the far stretching beach. On the left is a large pool (no net) outside table. Fire place in the lounge. Master bedroom bears a king bed and full open bathroom. This room nestles a small lounge with TV and opens out on to the pool. The second bedroom offers a king bed and en suite bathroom with Shower, toilet, basin. Bedroom three offers 2 Â¾ beds and an en suite bathroom with shower, toilet and basin. 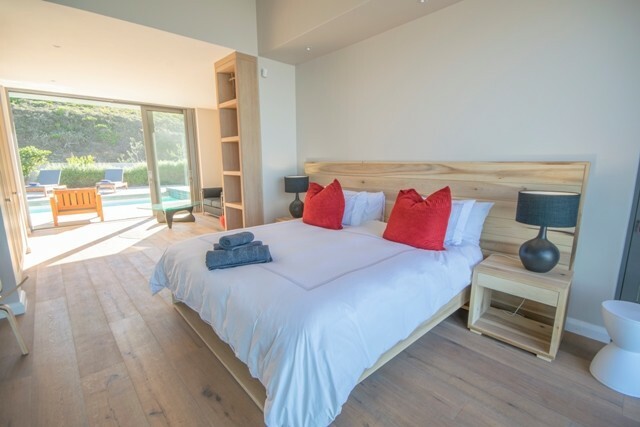 In the fourth bedroom there is a king bed, this room also offers a full en suite bathroom. The fifth bedroom has 2 Â¾ beds and a full en suite bathroom. Two sets of linen for all beds as well as bath and beach towels are provided. DSTV decoder and smart card are also provided. Wifi supplied.